Carpet beetles and clothes moths have not been eliminated. In the past years, textile-eating insects were common due to the large amount of wool fibers in clothing and home furnishings. The popularity and widespread use of synthetic fibers has led to the incorrect assumption that insect damage is a thing of the past. Clothes moths and carpet beetles can digest protein fibers such as wool, silk and specialty hairs, but these insects will also attack synthetic fibers if they contain protein substances. 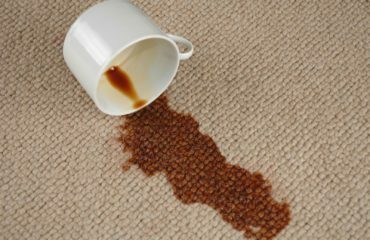 This means that carpet, rugs, draperies and upholstery made from nylon, acrylic, polyester, acetate and other synthetics can be damaged if they contain food or beverage stains, blood, urine, perspiration or other sources of nutritional protein. Firebrats and silverfish are also textile pests that attack carbohydrates. They eat the paste on the wall paper and book bindings as well as starched clothing. Termites digest cellulosic materials wood and carpet backings in addition to yarns made of jute, cotton and kraftcord. The most effective way of to prevent an infestation and inhibit growth is to keep textile furnishings clean. Spills should be removed immediately. Carpet, rugs, draperies, upholstery etc., should be brushed or vacuumed or steam cleaned regularly as insects do no generally attack clean materials. 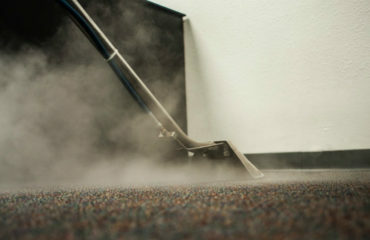 Regular dry/steam cleaning of these articles will also decrease the chances of infestation. Similarly, regular carpet cleaning will remove the nutritional contaminants that attract and support insects. If an infestation has occurred, you should consult a licensed pest control operator who is experienced in treating textile products for insect control.